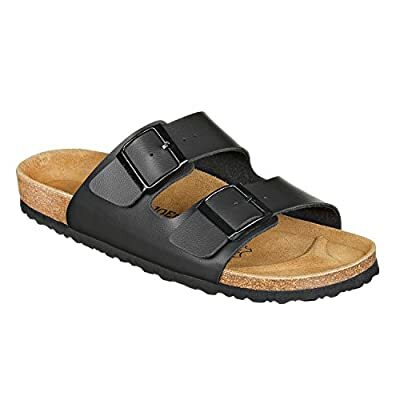 The JOE N JOYCE London is a comfy sandal with 2 straps and 2 buckles. The style is developed as a unisex-model. The upper material is made of skinfriendly manmade synthetic with a real leather look.. It is easy very to clean and very robust as well. The wellknown JOE N JOYCE footbed got a further improvement and is now more soft, as gel-inlets are placed between the cork sole and the suede leather in-sole. You can order the style in narrow and regular width.